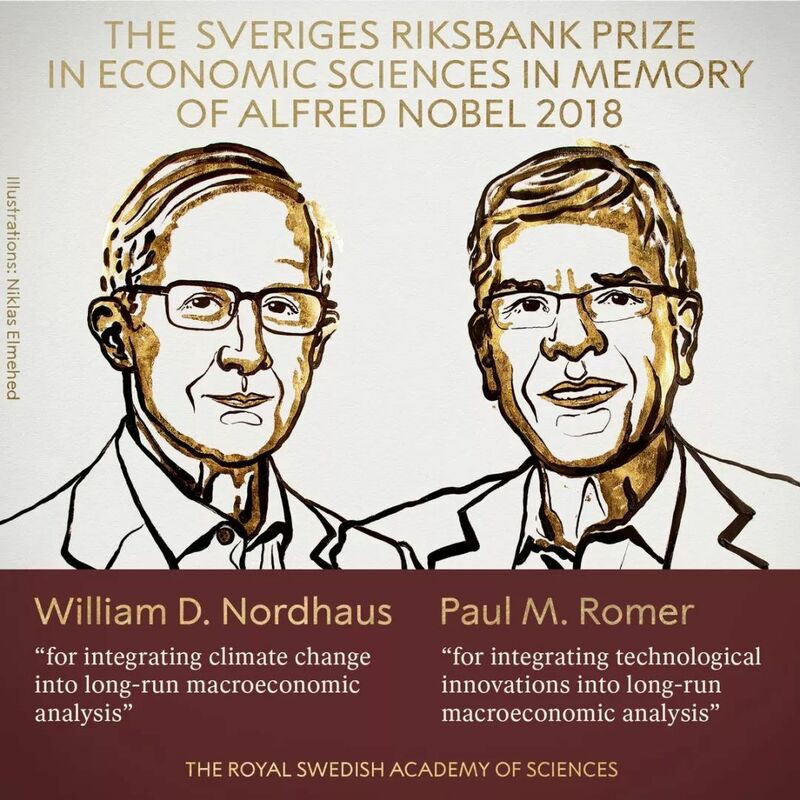 The work of the 2018 Economic Sciences laureates builds upon the Solow growth model, which received the Prize in Economic Sciences in 1987. 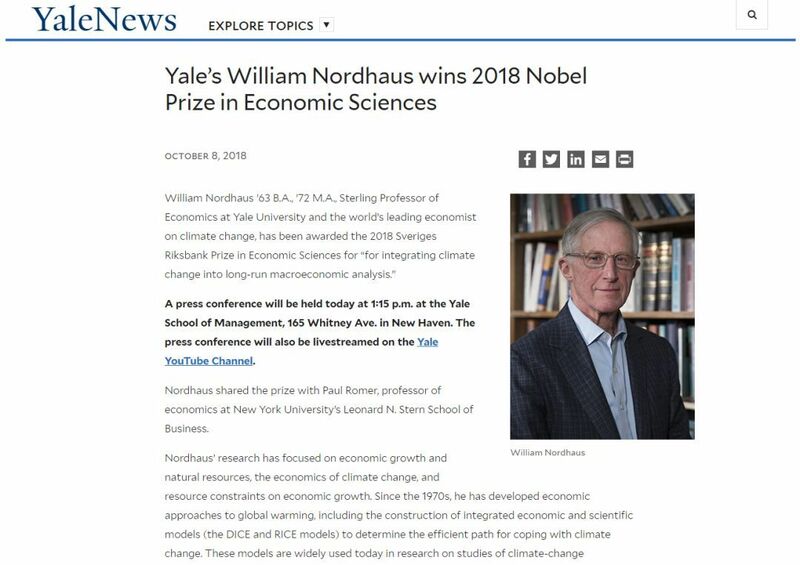 2018 Economic Sciences laureate William Nordhaus’ research shows how economic activity interacts with basic chemistry and physics to produce climate change. 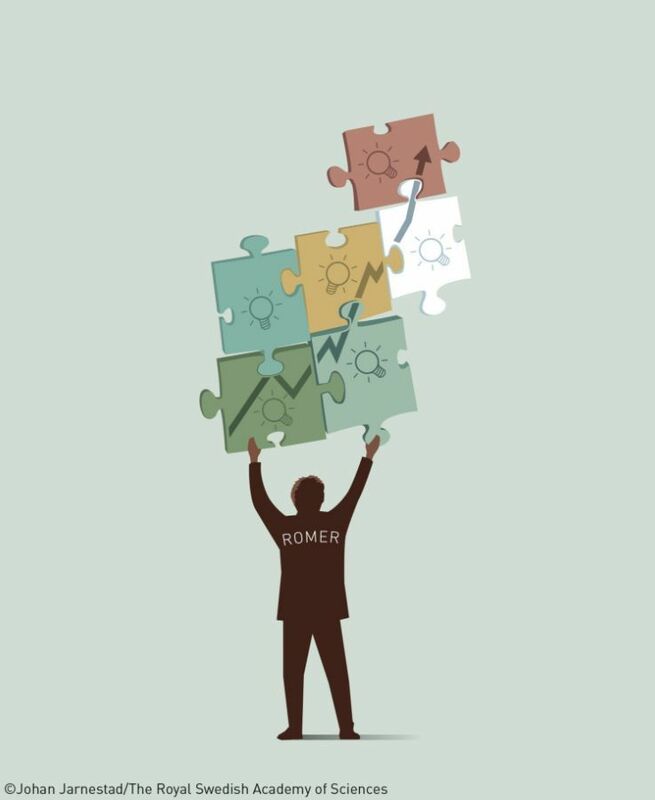 This year’s Economic Sciences laureate Paul Romer’s research shows how the accumulation of ideas sustains long-term economic growth. 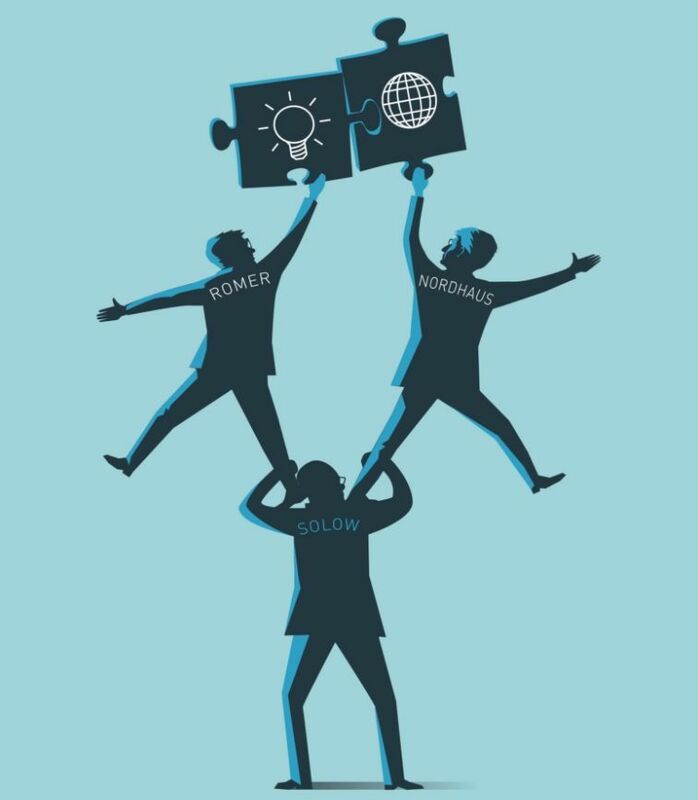 He demonstrated how economic forces govern the willingness of firms to produce new ideas and innovations. 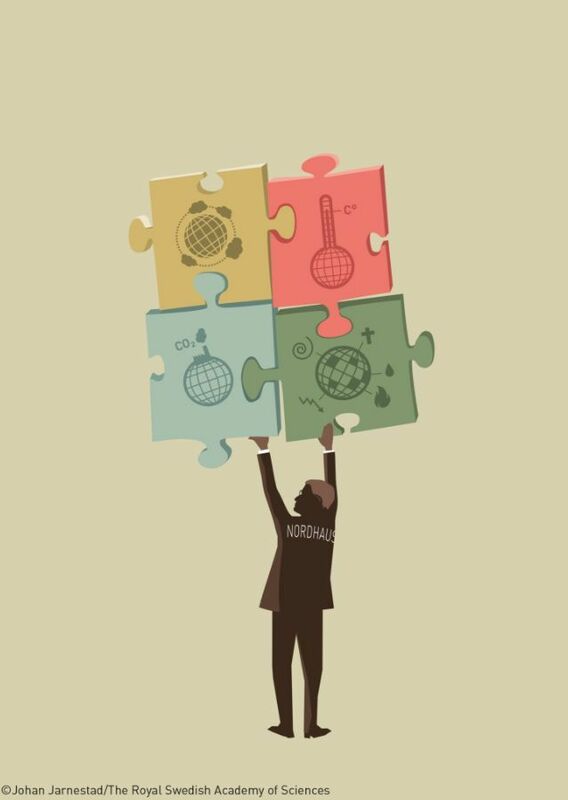 “Projections and uncertainties about climate change in an era of minimal climatepolicies,” American Economic Journal: Economic Policy, forthcoming, 2018. 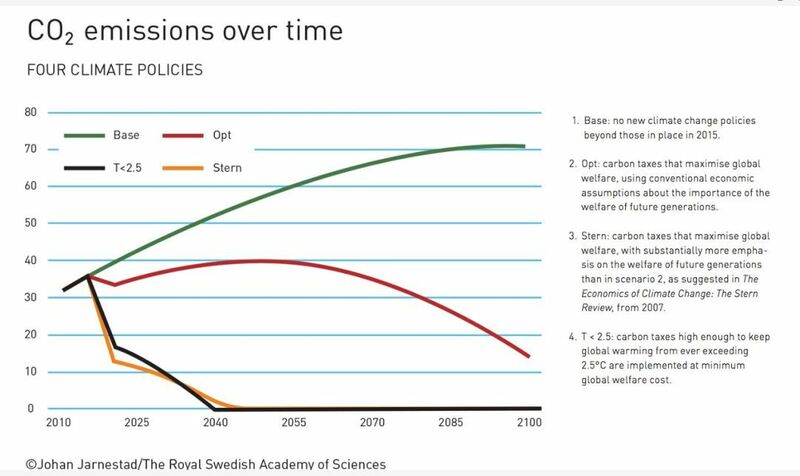 “Modeling Uncertainty in Climate Change: A Multi-Model Comparison,” Gillingham,K., Nordhaus, W.D., Anthoff, D., Blanford, G., Bosetti, V., Christensen, P., McJeon, H.,Reilly, J. and Sztorc, P., Journal of the Association of Environmental and Resource Economics, forthcoming, 2018. “Evolution of Assessments of the Economics of Global Warming: Changes in theDICE model, 1992–2017” Climatic Change, forthcoming, 2018. 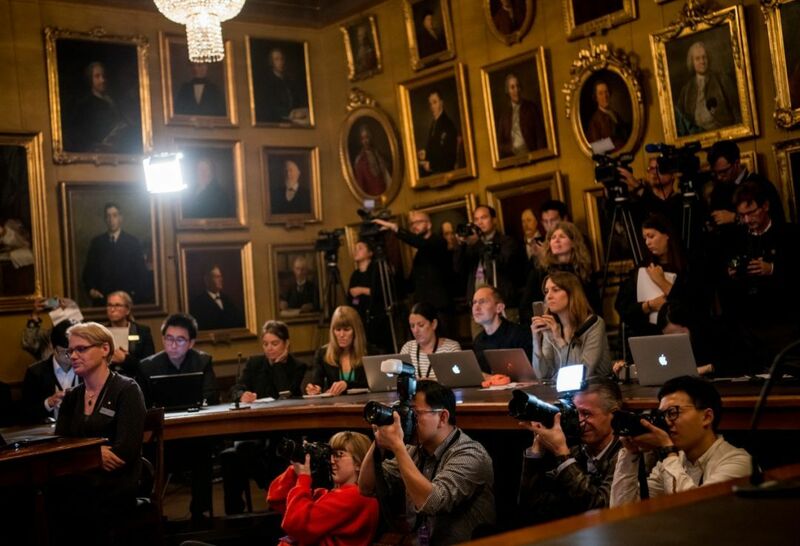 Kenneth Gillingham, Proceedings of the National Academy of Sciences, May 2018. "Growth Cycles", with George Evans and Seppo Honkapohja (American Economic Review, June 1998). "Looting: The Economic Underworld of Bankruptcy for Profit" with George Akerlof (Brookings Papers on Economic Activity 2, William C. Brainard and George L. Perry (eds. ), 1993, pp. 1–74). "Economic Integration and Endogenous Growth," with Luis Rivera-Batiz (Quarterly Journal of Economics CVI, May 1991, pp. 531–55). "Endogenous Technological Change" (Journal of Political Economy, October 1990). "Increasing Returns and Long Run Growth" (Journal of Political Economy, October 1986). "Cake Eating, Chattering and Jumps: Existence Results for Variational Problems" (Econometrica 54, July 1986, pp. 897–908).